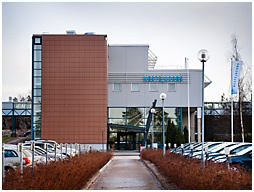 The Neste Engineering Solutions head office is located in the Kilpilahti industrial area in southern Finland. Kilpilahti is the largest oil and chemical industrial area in the Nordic countries. We have taken care of our customers for over 60 years. We provide services and solutions that help you develop your business in a sustainable way. Whether you want to invest in a new plant, improve an existing plant, or find new business opportunities or solutions, we are here to help. We have over 40 nationalities with diverse backgrounds working in the Kilpilahti office and in our customer projects globally.